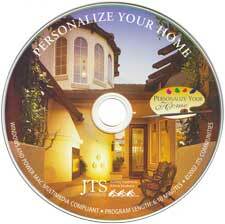 Business Replication has two methods for printing on the CD or DVD surface. The industry standard Silk Screen Printing method, and the newer High Resolution Offset Printing method. Which Printing Method is Best for My Project? Your artwork will determine which printing method is best for your project. If you artwork is created with spot colors and no screens then silk screen printing is best. If your artwork is created in four color process or has fine screens then offset printing is best. We recommend all four color process project print over a white background (CMYK + white background). Why is offset printing the better method for screens and four color process? The size of the printing dot (halftone) used in the silk screen printing process is 100 lines per inch. This is comparable to the size of the printing dot used in most newspaper printing. This large dot makes screened images and photos look a bit grainy when compared to an image printed with a smaller dot. The size of the printing dot (halftone) used in the offset printing process is 175 lines per inch. This is comparable to the quality found in a high quality advertising brochure. This finer dot makes the images sharper. Offset printing on the CD or DVD surface is "near photo quality". If you have questions, please contact a customer service representative ( sales@bizreplication.com , 916-789-9929). They will assist you with determining which printing method is best for your project.